One area that is really tough for a lot of mamas is figuring out what kind of simple, fast and nourishing snacks they can feed their kids. Committed to whole foods myself, there are the odd days when I long to be able to just grab a few packaged fruit roll ups or plastic containers of apple sauce or crackers as we fly out the door. We all crave convenience sometimes. One of the fastest ways to start making unhealthy eating choices is to get hungry when you’re away from home. Temptation is bound to get you. Fortunately, it doesn’t have to be that way. Katie has crafted a stellar handbook for moms wanting to keep everyone happy, healthy and NOT hungry. Her snack recipes and ideas are sure to please. Enter the Healthy Snacks to Go ebook! 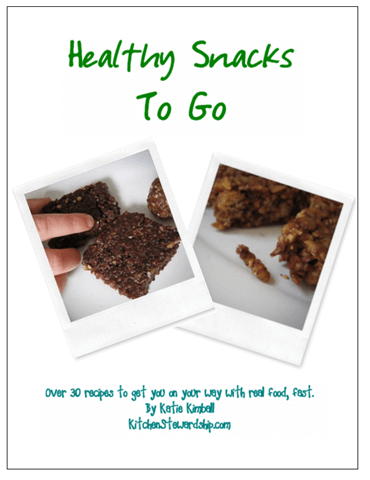 Healthy Snacks to Go is the first ebook from Katie Kimball of Kitchen Stewardship. I think that she has really outdone herself and created a useful resource for busy moms, who want something healthier to give their families (and themselves). :: For anyone still learning and transitioning to more real and traditional foods, Katie makes it all so simple and basic. She offers lots of explanations and info, in a completely down-to-earth way. :: The recipes are very kid friendly. I don’t think there is anything in the book that my kids would take issue with, and plenty of yummy things that would thrill them (an in fact, already have!). :: Beyond some different takes on things that I already make (power bars, granola, baked goods, etc.) I found a few completely new ideas, like Tater Skin Crispies, made out of potato peels (that’s right- the part you usually throw away or compost). Brilliant! Just another way to make food out of something we might otherwise waste. Love that! :: I had been wanting to figure out how to make Larabars recently, and this ebook had impeccable timing. It saved me from having to experiment and figure it out myself, and not only that, gave me 14 scrumptious variations to choose from based on what’s available in my pantry! We’ve tried 3 versions so far, with definite plans to try more. They’ve all been winners, for sure. :: Plenty of options for those with allergies and food restrictions (including dairy, gluten and grain free). There are easy-to-spot icons that will tell you at a glance whether a recipe is easy to make, low cost, needs cold storage (or is backpack friendly), includes soaking, or is free of common allergens. :: There are fantastic bonus tips, like the fact that I could toss potatoes into the oven to bake for dinner while my granola baked (which I thought was s super idea and helped me to make granola AND potato salad with little fuss or wasted energy). Katie has a wonderful focus on stewarding our time and energy well, and she’s always looking for ways to make things more efficient and streamlined in the kitchen. Would you like to win yourself a copy of Healthy Snacks to Go? I have 5 copies to give away! Leave a comment telling me what your biggest struggle is with serving healthy snacks and to-go foods (or why you want to win Healthy Snacks to Go). Subscribe to Keeper of the Home. Giveaway will end Friday, May 14th at 4pm (PST). Good luck! Giveaway has now ended- winners to be announced shortly! Disclosure: I have received a copy of this book for review, but have not been paid or compensated to write this review. These are my honest opinions about the book. I do receive a small affiliate commission on each sale from my site, but I only recommend products I truly think are worth buying. Want to Buy the Healthy Snacks to Go Ebook? Here's a Coupon Code! I’d love to win a copy! I definitely have a problem with planning ahead. When we go to town, there’s a mad dash to get out of the house and then I’m libel to grab something unhealthy to get us by while we’re out. I’d love to make my own larabars- yum! I would love to win this book because this is a struggle for my family. I’ve had to work later hours lately which means my son is starving (and I am too) by the time we get home. I try to have apple slices or boiled eggs ready, but sometimes he is too far gone by then. If I could give him something before we ever leave daycare I think he would be a lot happier! .-= Erica´s last blog ..One big happy community =-. I would love a copy of this ebook! Thanks for telling us about it! My biggest struggle with serving healthy snacks/to-go foods is finding the time to make them with a full-time job and 2 kids and a husband to care for. I’d love a copy! Planning ahead is my biggest struggle. We so often find ourselves “out and about” at snack time and even meal times. I’m also dealing with picky eaters lately. .-= Valerie´s last blog ..Do-it-yourself summer camp =-. I have a lot of problems coming up with healthy snacks. My kids, even though they are 15 & 12, are very picky eaters. They would prefer to eat chips after school not fruit or anything healthy. I would love to win Healthy Snacks To Go! I need help! :) Thank you for the chance! My biggest struggle is my husband. He grew up on packaged junk, his first girlfriend, according to him, was little debbie. It’s really hard to get him to understand and I struggle to find things that he’ll eat rather than turn to the vending machine or gas station. Time! Time is my biggest constraint to eating healthy, including snacks and lunches to go. We are just transitioning to “real” foods – so, my biggest struggle IS what kind of snacks to keep on hand for my nine year old. I don’t want to buy the pre-packaged, chemical-laden stuff anymore, but it’s almost impossible to find healthy options in cookbooks. And, my creativity is running low in this area. This e-book sounds like the perfect answer! .-= Pam´s last blog ..Great Freebie =-. I am a kitchen stewardship facebook follower also! I subscribe to Kitchen Stewardship. My biggest struggle is the convienance. Our kitchen is literally about 8X8 (a temporary rental) and with two little kids and a big dog, someone is always under-foot. I’ve definitely noticed that I am cooking WAY less for them than I normally would because there is just no space! .-= Sarah M´s last blog ..Movie Review: Whip It =-. I also follow you on twitter, too! I am now following Katie on twitter, too! I was interested in this book, so happy your giving it away! I struggle finding good recipes that we like. You are right, it is hard to go from packaged to healthy real food. I’d love to try these out. I subscribe to keeper of the home! My biggest struggles are finding time to make healthy treats and keeping them on hand (to have as convenient as store bought snacks). I subscribe to Keeper of the Home and enjoy the information shared here. My biggest struggle is finding quick, easy things that will last all day in a backpack to have as an afterschool snack. I subscribe to keeper of the home. This is such a timely topic! I am trying to get rid of the “goldfish, crackers and cheerios” habit for the kids. But it is really tough, especially when on the go! It’s difficult to bring cut up fruit, etc. for the one year olds; I can’t wait to get some good ideas of thing I can prepare that are good snacks for the kids! I would love to win a copy! I struggle with finding healthy snacks that are easy to grab as we go out the door! I would love to win this book. Our biggest problem is finding foods everyone will eat-one wants this, another wants that. And some are so picky. I would love to try new recipes that are kid friendly. I follow Keeper of the home on FB. I follow Kitchen Stewardship on FB. I struggle with making the time to prepare snacks ahead of time. I find that once I have taken the time to make a few things, it is so much easier to make healthy food choices throughout the week. .-= Nicole´s last blog ..Thank You, Uncle Sam =-. Since I just had my first 5 weeks ago I can’t speak from mommy experience. However, I have had problems finding quick, healthy snack foods that I can eat while being the busy new mom. I’m sure I will find out about having healthy to-go snacks for kids in a few months when he starts eating table foods. I already subscribe to Keeper of the Home. I struggle with finding a good variety. I offer the same 4-5 healthy snacks every day. I also need some ideas for non-perishable snacks for the car or the park. Thank you!! This book sounds great! My biggest struggle is planning ahead. I usually always resort to pre-packaged snacks just out of convenience and lack of time! I subscribed to Kitchen Stewardship. I’m super excited about this ebook. My biggest struggle with snacks is with grains. I usually just buy packaged crackers. I’d love to win. My biggest struggle is finding healthy, yet economical snacks. I would love to win a copy! This sounds like a perfect book to be released right before the season where people are often out of the home at sporting events or picnics or the park, etc. What a great idea! .-= ChristineG´s last blog ..Out with the Old….Out with the New! =-. Whoops! Sorry, I got so excited about the book that I forgot to tell you my biggest struggle in serving healthy snacks. It is planning. I don’t plan ahead, so I often don’t have a good assortment of ingredients or ample time to prepare. We(were a family of 8) would love to win this exciting book. We thank you for your informative website! .-= Heidi´s last blog ..Grace Anna is here!! =-. My biggest struggle with healthy snacking is the need to eat often while working full-time. I’m petite and I don’t eat much at any one sitting, but I definitely need a snack mid-morning and mid-afternoon to keep my already-low blood sugar levels from dropping. I grew up eating pretty healthy foods thanks to a brother with food allergies and a wonderful work-at-home mom, but now that I’m an adult it’s easier to just buy something off the shelf at the store. My husband and I are expecting our first baby in August, so it’s even more important to me now that we eat healthy and wholesome foods. My biggest struggle is finding healthy snacks that can be eaten while walking, in the car, in the stroller- things that don`t make a mess, that my two year old will like to eat. Definately easier said than done! Ugh, I have a lot of challenges with this. I try to make granola bars, which my family loves, but they get eaten up so fast! And when they run out, it often takes me a long time to get around to making more. Plus, that’s pretty much my only idea for a take-along snack, so I would love some more options! .-= Shelsy´s last blog ..My Second Mother’s Day =-. My biggest challenge is finding foods to make that I can easily take along to feed my 1 year old daughter AND my husband and me. I have a hard time finding things that will fill up all three of us. This is so timely for me! I am trying to get away from giving my girls crackers all the time. My 1 yr old likes to eat anytime she sees anyone else eating. But she is dairy intolerant, so I can’t give her cheese and a lot of other snacks I use to give my older daughter. Trying to come up w/ healthy sbnacks have been a real challenge for me. Oh and thanks for connecting up to Kitchen Stewardship. I had visited there before but lost track of her site. .-= Debbie´s last blog ..Looking Locally, Thinking Seasonally =-. I struggle w/ knowing what and time. I’m a fan…. cost can be a factor too. My husband is a medical resident with a very crazy schedule, and he rarely gets the chance to sit down for a meal at work. I’d love to be able to send him to work with snacks that he’ll want to eat! Usually he just eats store bought nuts or granola bars. .-= Beth @ The Nurturing Mama´s last blog ..So How Does My Garden Grow? =-. I subscribe to Keeper of the Home via Google reader. I also subscribe… I need to make it taste good. I subscribe to Kitchen Stewardship via Google Reader as well. My trouble is staying consistant. Some weeks I do really well to provide healthy homemade options, and then the next week I’m worn out of trying to think of something to come up with. I’ve been wanting this book! .-= jeana´s last blog ..Thrifty Finds….Finally Made a Chalkboard =-. My biggest struggle is with convenience. I need to start planning ahead so i have snacks that are easy to grab and throw in the diaper bag. I subscribe to you through blogger. I’d love to be able to give my husband some healthy snacks to eat at work, and as a nursing mom, I struggle with finding healthy, nourishing snacks throughout the day. My biggest struggle is with convenience too and has to something easy my boys can grab by their self. My baby girl is only 6 months right now, but I am trying to learn all I can from you healthy bloggers! I have already been trying to make some better decisions for snacks for my husband and I like homemade granola bars. The hard part for me it making the time to make them and have them so we don’t end up going out and buying cookies. Also we need some Salty options because my husband loves potato chips. I have fulfilled 1-7 for the drwing! I would LOVE to win this ebook! My biggest problem is having different options. .-= Evelyn´s last blog ..New Theme: Bueno =-. I’m a subscriber to your blog! I subscribe to Kitchen Stewardship. Love it! My biggest struggle with healthy snacks is changing my kids’ “idea” of what a snack should be. The oldest one is only eight, but I’m working on undoing several years of bad choices on my part. I struggle with remembering to plan for snacking. I will make healthy-ish oatmeal cookies or something or banana bread that isn’t too bad, but those things are not greatly portable. Sometimes I will throw nuts in my purse, but still having young kids, the littlest ones aren’t always able to eat those. If we have fresh fruit around I might manage to grab that to go but again that can be tricky if its messy or needs to be cut up to share. I subscribe to Keeper of the home in my google reader! Oh, I’m so excited about this give away. I was just telling my husband the other day that I was frustrated that I couldn’t come up with healthy on the go snacks for my children. My biggest struggle is that I don’t know where to start with healthy snacking. I have two small kids and its hard to find easy snacks that they can handle, I’m sort of at a loss of what to try. I’m following you on FB. Following Kitchen Stewardship on FB. Yes, I would definitively like to win the e-book! My biggest struggle is to have a variety of healthy snacks as we are all getting tired of ‘same old’ and also the planning ahead. I would love to win a copy of Katie’s ebook! My biggest issue is planning ahead. I don’t have children yet, but I work outside of the home part time and snacking is a neccesity for me! I’ve been searching for healthier options and I belive this ebook would help me out greatly! .-= Taya´s last blog ..Save.ca – New Arm & Hammer Coupons! =-. I subscribe to your feed in Google reader! I subscribe to Kitchen Stewardship! Love it! My struggle is having snacks READY to go when the kids want them! Looks like a great book! Biggest struggle with healthy snacks is finding yummy, not-too-expensive treats! .-= Melanie´s last blog ..Winner! =-. I would love to win! I have an 18-month-old and a 2-month-old so my biggest challenge is finding time to cook/bake. .-= Jessica´s last blog ..Welcome to the Gullible Gourmet!! =-. I find with two littles under 3 quick is definitely an operative word. Snack time can be quite difficult if we are out for the day, so this book sounds right up my alley! My biggest hurdle to serving healthy snacks is that I struggle with portable items. It is just too easy to throw some cheddar bunnies in a bowl. I would love to do better. This book sounds very useful. I have a hard time getting around to making snacks. I am a follower on Google Rss. I struggle just trying to find time to make healthy snack, but my heart is so there! .-= Kris´s last blog ..Asparagus Week…almost 😀 =-. I just subscribed! I’m so happy I found you through Simple Mom. My biggest struggle is keeping my husband in snacks that are easy to pack with his lunch, high in protein, and frugal. I make a lot of nutty power bars, but they’re a bit expensive. It’s just a war with the budget, most of the time! .-= Terri´s last blog ..It’s a …. =-. I am now following you on Facebook. I now subscribe to Kitchen Stewardship. My biggest struggle is coming up with ideas… this would help a lot!! .-= Babychaser´s last blog ..A kitchen floor pondering =-. I now follow Kitchen Stewardshop on Facebook. I now follow Katie on Twitter. Would love to find real snack foods that my kids actually like! We purchase a lot of pre-made healthy snacks and it gets expensive! I would love some recipes that I could o myself! I struggle on a daily basis with trying to choose the healthier way to snack! I am just starting to make my own ‘convenience’ foods so they are on hand when I am hungry! This book would be great for me to incorporate more healthy recipes into my diet! I struggle with having Gluten free snacks available. All of us but my oldest has to be gluten free and snacks to go are just not one of my strengths yet… I used to grab granola bars or something but most all of them have gluten. I also struggle with eating healthy snacks for me since I am pregnant..something quick and easy would be nice. .-= Cristy´s last blog ..Sad, sick boys =-. I always have good intentions for good, healthy snacks, but we always seem to run out of the door at the last minute, and we are 25 minutes from town, then the kids get hungry and I end up stopping at a local store or drive-thru to feed everyone…and always regret it!!! My biggest struggle is finding snacks that are healthy but also taste good – I’ve made some pretty bad snacks that were not a hit! My biggest struggle is keeping the snacks in stock. I make those delicious recipes and they disappear. I subscribe to Keep of the Home. I follow Kitchen Stewardship on Facebook. I follow Katie on twitter. .-= liz´s last blog ..MIA =-. My main struggle is thinking creatively to do something that we don’t usually do! The same old snacks get boring! The hardest thing for me is just what you said-convenience! I don’t time things well, and then- everyone is hungry at once! My biggest hurdle is just having healthful things ready beside fruits and veggies. I do realize that I am very blessed to have kids that demolish the produce section in the fridge though. I am more than willing to do ahead stuff for the week. I subscribe to kitchen stewardship! I’d like to have healthy snacks ready to use when we have go out!Sometimes we have to be outside and I didn’t have time to fix up something they could eat, so it’s helpful to have somethng good and yummy to eat and not having to buy something on the go. I struggle with finding healthy snacks that all of my kids like, as well as having them ready to go when I need them. I guess that’s the lure of the pre-packaged stuff that’s usually not the best. This sounds like a great book. One of my children has several food allergies so it can be hard to make snacks everyone can enjoy. .-= Jackie´s last blog ..Menu Plan for the Week of May 9th. =-. I am a subscriber of Keeper of the Home. With three children 3 and under, it is difficult to always make the best food choices…with this book I am confident I could give my children healthy snacks instead of being tempted by all that pre-packaged junk! 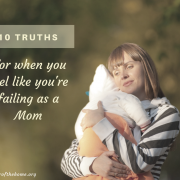 My most difficult thing is having easy things on hand, especially for my husband who is supportive but constantly wondering where the crackers or chips have gone to. I already subscribe to you and I follow you on Facebook. Time and space. I have a small kitchen. My son loves veggies, but packing those to go for a 2 year old is a challenge for me. Creative ideas…we’re home a lot, so we don’t eat on the go much, but when we do, I never know what to bring that doesn’t make a mess or require refrigeration, except, you know, crackers or apple slices. This e-book would be great. Thanks! I follow Katie on facebook. I try to make healthy snacks, but I seem to get stuck in a rut of what to make. So I think this book would be great for lots of different ideas on what to make for my kids. My challenge is that most to-go snacks I make involved baked goods of some sort, then my husband and I eat the same snack all week and by the time it’s Friday we’re sick of it! This ebook sounds like good inspiration for introducing more variety in the snacks we take to work. My biggest challenge is finding recipes that don’t have the foods I need to avoid (dairy, soy, gluten and corn) or that can be adapted to my dietary needs…and then have those foods taste good enough that my husband and three little ones will eat them! Have them already made so they are just easy to get out. Having enough variety so it’s not always an apple, banana, pear or orange. Wow, we just tried making Larabars on our own and had some decent success, so I would love to see how she does it. Plus, that’s about our extent of snacks to go, so we need new ideas. I think it’s interesting that you’re offering this ebook right now – I just wish I had it right now! My husband is on a diet that is gluten free, dairy free, soy free, etc. We’re leaving in a couple of days for a long weekend, and I’m trying to make a list of foods we can take with us. I subscribed to your blog and would love to win the ebook so I can learn more for when we’re on the go. Having something available that suits everyones wants of the moment. The other thing I struggle with is having healthy things that are easily portable and not easily crushed or otherwise ruined. I’m a subscriber to Keeper of the Home. My kids like to have their afternoon snack while we are watching a program or reading stories. They love applesauce, yogurt, and Kashi cereal bars but they make such a MESS if not eaten at the table. Plus, I stopped buying cereal bars with plans to make something a little more healthy and natural. Would love to see the ideas in this book. I already subscribe to Keeper of the Home via RSS. i struggle with easy to travel snacks to take with us – or things that can’t be left out – but i am still new and would love some easy recipes!! and i subscribe to Katie!! Oh Stephanie! I can barely read your website! I am using IE6 (outdated, I know but I’m reading at work and have no choice). So I tried Firefox and it’s pretty much the same. The brown is faint, but I can read it. The light green is horrendous. I know it’s a strong word but I literally cannot read your the content written in green. I tried to find how to contact you directly instead of posting in Comments but I couldn’t see this option. @Beatrice, Yikes, I’m surprised to hear it’s so bad for you. We’ve heard that the blue-green is a bit light for some people (so we’re darkening it) but we haven’t head problems with the brown at all. Can you tell me what browser you use and what size monitor you have? Thanks for letting me know! We’re working to make it readable for everyone! I can check at home too which is IE8. @Beatrice, I really appreciate the feedback, Beatrice! It helps my designer and I know where to go with the color changes. Thank you! I usually do good at the store not buying junk, but then get home and have nothing ready to feed the hungry kiddos at snack time! .-= Michelle´s last blog ..Snake lapbook…EWWWW! =-. My biggest struggle is having a healthy snack available when it is needed. Too often I run out the door with nothing prepared and have to buy something while we are out. I struggle with finding something healthy to eat/pack/snack on. It usually winds up coming down to chips or crackers. I feel like there has to be something better out there, but never know what I should be making! and now I follow katie! Love finding a new blog. I have feed my son organic and traditionally since I became preggo. The hardest thing for me now, he is 15months, is when we are around other kids that are eating junk and he wants it. If I don’t have a snack for him then it’s a real headache. I love snack ideas and advice. What a great topic. My kids are used to packaged snacks, and as we’re trying to get away from those, they are resisting the change. .-= Kristine´s last blog ..More Scrabble =-. I am new to the “real” food way of living. I have 2 children ages 4 and almost 2. And it seems like we are constantly on the move. My 4 year old is a picky eater to put it lightly and will only eat PB&J and processed foods/snacks-although he is a big fruit fan as well. I really need ideas of healthy foods to prepare and serve to my family-especially in the way of snacking. I am so tired of feeling like I am not providing healthy foods for them. And the stores don’t provide enough good/pure options. I just bought your book Real Foods and am feeling inspired. Healthy Snacks to Go would be an answer to prayer for me! I am also following on twitter, and fb. I follow Keeper of the Home and Kitchen Stewardship on Facebook. My biggest challenge with snacks is my kids don’t want to eat healthy foods, I need things that taste good, are kid friendly, and are convenient. I also need recipes for things I can make in advance and have ready to minimize my kitchen time. My biggest struggle is that my son has a lot of food allergies so I am always trying to find something that he can eat! this is definitely an ebook i need! .-= Stacey´s last blog ..I’m going to be a better mommy – here’s how =-. I follow Keeper of the Home and Kitchen Stewardship on FB and I subscribed to both! 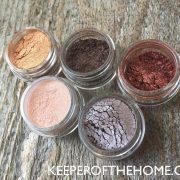 i follow keeper of the home on facebook and i’m a subscriber too! I “liked” KS on Facebook. I would love to have these snack recipes! I love to give my kids healthy snacks!!! I love to cook them!!! Also when we go on trips it would be nice to have a bag of healthy things to munch on! Yahoo! My biggest struggle is just keeping it quick… if it’s not quick, it’s not going to happen. .-= Creative2xmom´s last blog .."Make Do" Pasta =-. My biggest struggle is the whole time factor. I need some ideas for quick, easy, make ahead snacks. I would love the e-book. I always struggle with homemade snacks! Processed is so much easier at this point. The few recipes I have tried for granola bars, etc have totally failed. Hi! I need this ebook! I struggle with giving healthy snacks and especially on the go foods. For convenience, I usually just buy healthy, organic, prepackaged snacks (and spend a good chunk of change doing so)…all the while knowing I could make them myself (and they’d be healthier and cheaper). I am just stuck in a rut for good ideas, and need a book centered on kid friendly options. Thanks!!!! my husband 🙁 He loves nonfoodish snacks. we’re working on it though! My biggest struggle is having things ready when the hunger strikes. I would love to win a copy. I also subscribe to Kitchen Stewardship. My biggest struggle is the preparation. 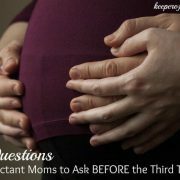 My 6.5 month old baby is very needy, and trying to meet her needs and that of my 2-year-old is a struggle– having any extra time for prep is hard to come by. We live an hour and a half away from our family. Close enough to be able to drive down frequently, but far enough away that we have to leave the second my husband gets home from work on Friday night if we want to get there at a decent hour. We have so many events going on in our hometown (graduations, weddings, birthday parties, etc.) soon that we’ll be going down there every weekend for the next 2-3 months. We will need to figure out things to eat on the road! We’re used to eating dinner at 5 pm every night, but on weekends, we have to leave as soon as my husband gets home at 4:30, and we’re on the road until 6 or 6:30, so we miss dinner. Not to mention we get extremely hungry since we have to wait so long until dinner! We usually end up stopping at a fast food joint (yuck, I know) because between my husband working a physically demanding job and my nursing, we’re unbearably hungry as soon as we get on the road. I would LOVE to win a copy so I could figure out something healthy to bring with us on the road every weekend for the next few months! 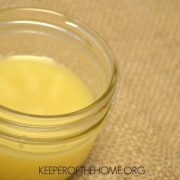 .-= Audrey´s last blog ..Real Food Baby Steps: Make Nourishing Bone Broth! =-. I follow you on facebook…. We really miss all the snack bars and such that we once always had available but now don’t. It would be great to make healthy ones in our cupboards so we don’t always struggle with wanting to get something quick somewhere out. I’d love this e-book! We don’t have kids yet so it would be great to learn some recipes and prepare for that day when we’ll need lots more healthy snacks to go! I think some of the things I rely on for snacks take some planning to make (just like meals) but I typically don’t have a plan for making them. I need to schedule the soaking time or whatever into my meal planning for the week. My biggest struggle with serving healthy snacks is coming up with enough variety, I have several things I give my toddler for snack which I know are nutritious, but I don’t branch out much from those few things 🙂 I would LOVE to win a copy of this book, it would be extremely helpful and I love getting ideas that I can feel good about implementing for my family. I also follow Katie on facebook. My biggest struggle is breaking old habits! I am in a snack rut, but I believe simple and healthy doesn’t HAVE to be boring! Im following Kitchen S on fb. Biggest struggle for our family is amount of food it takes to feed our family for a snack. I subscribe to you with my Google Reader! My biggest struggle is to make sure I start making new snacks when the ones I’ve already made start running low. That and getting my oldest to stay interested in the snacks after having them a few times. .-= Stephanie´s last blog ..Conversations =-. My biggest difficulty is finding the time to bake healthy snacks. I seem to be able to get healthy meals, but it is difficult to fit one more thing in. So we mostly eat fruit and other things that don’t need to be made separately. I would love to be inspired with some new recipes. I subscribe to Keeper of the home through bloglines. I subscribe to Kitchen STewardship through bloglines. Oh my goodness, I NEED this. I think the snack area is possibly my biggest food nemesis. Especially because I have one child who has not touched a piece of fruit in seven years, except grapefruit, which isn’t really grab n go. And I’ve been wanting to make my own Larabars for ages! .-= Hannah´s last blog ..This Wasn’t Supposed to Be About Bacon =-. And I subscribed in Google Reader. Would love to win this book! Would be a blessing to our family! My biggest challenge is finding time to bake. My kids love fruit, but they eat so much of it that we run out quickly. I’d love some ideas for quick snacks to have on hand when we’re in between trips to the produce stand. My biggest struggle with healthy snacks is planning ahead. When I do try to plan snacks, then my struggle is finding recipes that are healthy AND work with our food allergies (family allergies are dairy, egg, peanuts and tree nuts). I would LOVE to have this book! i already follow you on facebook. this book sounds wonderful. .-= Ashley´s last blog ..Sweet Offerings =-. I have an 18-month old who only eats carbs! So my biggest challenge is finding healthy foods she’ll eat…instead of Ritz crackers. i am subscribed to your blog. I am interested in reading this because I am having a hard time finding snacks other than fruit that are healthy and inexpensive. .-= Emma´s last blog ..What to eat Wednesdays – Asian pork salad baskets =-. My daughter is getting into solids and this book would be a great help for the next stages on her food journey. I would love to win this because I (or my children) need something easy to use to make snacks for my husband. It’s too easy for him to pick up whatever is out there because I don’t have healthy snacks in his cooler for work! PLUS we all love snacks here at home – those potato skin crispies sound awesome! .-= Kimarie´s last blog ..Hello! I’m still here… =-. I followed Kitchen Stewardship on Facebook. I follow Katie on Twitter. Yay! I actually was able to do all seven entries!! My biggest challenge over the last 6 months of moving to a whole food diet has been the on the go snacks…..we can only eat so many muffins and cookies. I think this book might help me to get out the rest of the packaged food out of my house. .-= RaisingZ´s last blog ..WW–Crazy New England Weather =-. My kids tend to want chips or something that’s IMMEDIATE. I’ve tried to keep healthy on hand and make healthy, but when it’s gone or I’ve been busy….the chip grumblies enter!!! I would love to have a recipe book with healthy snacks that I can immediately choose from! I subscribed to Kitchen Stewardship! It looks great!!! We are still in the beginning stages of working on the recipes and finding foods, so this book looks like it would be a great addition to our kitchen! I would love to have more snack ideas for my boys. I just recently started making chewy bars from scratch and my friends and family love them! Having more healthy snack ideas on hand would be wonderful! .-= Amy Lynne´s last blog ..The Big Kid had the Camera =-. The hardest thing for me with healthy snacks is balancing convenience with the need to be gluten free and free of preservatives. This book looks like it would help so much! My biggest challenge is having the snacks ready so that I don’t turn to store bought ones. I would love to win this and get some new ideas! The hardest thing for our family is to find convenient snack foods that are preservative free and made using natural sweeteners. I’d lov eto win this book so I can make healthier alternatives for our family. .-= Allyson´s last blog ..A Day at Dollywood =-. I follow keeper of the home on Face book and would love to win this book to make homemade snacks for my four kids. I would love to win this book. I need to have good recipes for healthy snacks. I follow your blog. I love to read it. I’m a working mom, and this would be a great help for our family. I also follow you on Facebook. .-= Kathryn´s last blog ..Leila is 6 months old today!! =-. I think my biggest challenge is being new to the real foods scene. I am completely new to this and am interested and eager to learn how to feed my family real food all the time. 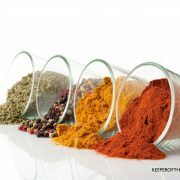 I follow you and Kitchen Stewardship on facebook as well as frequent your websites daily. This book would be a huge help in setting me in the right direction. I have a difficult finding time to fix healthy snacks on the run! I am the working mama that tries to do it all. Work a 40+ work week, nurse my 10 month old daughter, and do as much green, organic, and holistic as possible. I would love to find some new snack foods for my husband, daugther, and myself to make my life a little easier. Either way, thank you so much for creating a blog like this. You have no idea how much your research has made my life easier as a mama! THANK YOU! I would love to win this book! My husband is the king of all snackers. Snacks and “to go” food are always where we give in to fast, easy & processed. Help! .-= Kara´s last blog ..Happy Belated Mother’s Day! =-. I subscribed to Keeper of the Home. .-= Jennifer Jones´s last blog ..Real food…on a real budget =-. .-= Amy @ From Scratch´s last blog ..Confirmation =-. I added your blog to my Google Reader. The biggest challenge I face is planning and cost…I know healthy eating is very possible and hope to learn some ways to transition our family to being a “whole food” family. 🙂 Thank you so much for your giveaway! thanks for offering this give-a-way. My biggest struggle in providing healthy snacks is finding the time to make them ahead of time, and I don’t even have any children yet! I’m working on finding a time in my week dedicated to baking/cooking for the upcoming week so that I am less likely to give in to temptation! .-= Jodi´s last blog ..Spring is here! =-. Sometimes my biggest challenge is just getting up and making the snacks. My kids would sooooo love it (and me too) to check out this ebook. My biggest challenge is not preparing ahead of time. I’ve been getting better about doing a few meals/snacks on Sundays in preparation for the upcoming week, and I’m also trying to plan ahead for this while making my grocery list. .-= Jodi Anderson´s last blog ..it is not just a phase =-. My greatest struggle is individual packaging-once I make these lovelies for my kiddos I feel really good about it, but then become frustrated because I don’t know how to package them so they are convenient-yet environmentally friendly. I would be delighted to have someone else’s inspiration for snacks from a traditional foods focus! I can make almost anything myself but sometimes I just get tired of coming up with new ideas and default to easy… which often comes up short in the actually-nourishing-for-you category. My youngest son was diagnosed with Type 1 diabetes last year and it has become even more important to make sure we always have a snack on hand for those low blood sugar times. already following Katie on FB… thanks for all the chances to win! I try to have healthy snacks around for my kids and I, but I would say that my biggest challenge is continuing to make them to have on hand! .-= Amber at Berlinswhimsy´s last blog ..Spring Green Week. Artichokes. Homemade Mayo, too. =-. My biggest challenge is finding healthy, tasty, and convenient snacks for my husband. My girls and I are happy to eat fruit and veggies and popcorn for snacks, but my husband likes the processed foods and complains that when I try to do whole foods I don’t have anything on hand that he likes to eat. I would love to be able make some snacks for him without resorting to processed, packaged foods. My biggest challenge with serving my family healthy snacks is that I dont ever seem to have anything prepared when we need to be on the go. I hope this ebook will help with this problem. I struggle with the amount of sodium and sugar in grab and go snacks even if they are organic or a more natural choice from the grocery store. Our family would totally benefit from this book! What a help it would be. One of the biggest challenges is finding things that are peanut free and nut free (one of my 3 children is allergic). And I’m always looking for healthy but convenient alternatives. Serving good snacks to my kids IS the biggest problem. I don’t mind baking things for them, but good recipes are hard to come by. I DO NOT want to have to resort to fruit snacks! I follow Katie via email! I “like” Katie on Facebook! I would LOVE to win a copy! My husband and I have just started a program called “The Diet Solution” which is ALL about eating organic foods, raw milk and dairy and other such wonderful things! The first 2 days on the program I thought somebody was going to get hurt! I didn’t realize I was such a sugar addict! Since then both my husband and I feel sooooo much better!!! This is our third week on the program and we’ve both lost weight and inches and can feel the difference! Anyway! 🙂 We are parents to 4 amazing kiddos ages 7, 5, 3 and 9 months. We are on a pursuit to teach them great eating habits early so they never have to struggle how we have. Thanks so much for your consideration! Offering healthy snacks and healthy food to go are areas I am in weak in. I would love to have healthful alternatives to our favorite “Little Debbies”! Thanks for a chance to win! I am a subscriber of this blog…and love it! Snacks are where it is easy to fall back into the “processed” routine…and we have. We eat non-processed real foods for every meal except for snacks. This might help me with some, real snacks that I can make ahead of time to avoid the processed snacks. This is an area I definitely struggle in – I do a pretty good job with meals, but when we are on the go . . . it’s processed or from a restaurant – rarely good choices. I would love to win this book! .-= Pam Howard´s last blog ..Wow! I am sore today!!! =-. .-= Suzanne´s last blog ..Kids’ Plan Day =-. I already follow Kitchen Stewardship on facebook. Just subscribed to Kitchen Stewardship blog. I’m following Kitchen Stewardship’s facebook now too! I’m still re-training myself on what to grab when my daughter or I needs a snack. I’m still new to eating naturally and could really use the help coming up with a new normal. Thanks! I’m hypoglycemic, which means that if I don’t eat at regular intervals, I get extremely irritable and start to feel physically ill. My big challenge is finding foods that I can carry in my purse that won’t get squashed and don’t need to be refrigerated. I’d love to get my hands on this book! I am constantly struggling with what to feed my children for snacks as well as myself as a pregnant mama! I am a subscriber at Kitchen Stewardship! Hi – it’s the whole “snacking to go” challenge for me…not just one part! LOL. I prepare ALL our family’s meals, bagged lunches, etc. But when they want that quick after school/before soccer snack or travel food or “I’m late for school” quickie meal that I find I either go blank or reach for prepared. I’m very committed to whole foods & no processed foods….I could really use the help! My biggest struggle with serving healthy snacks is that I need more time to make them and I am a picky eater. My husband desperately needs snacks though. He has a very high metabolism and needs to eat every 3 hours or less. He would be very happy if I could make some snacks for him to take to work. I have twin toddlers – anything speedy is helpful! I’d like more alternatives to things like packaged granola bars, fruit bars, which I often use but feel a bit bad about because I think they aren’t the greatest. 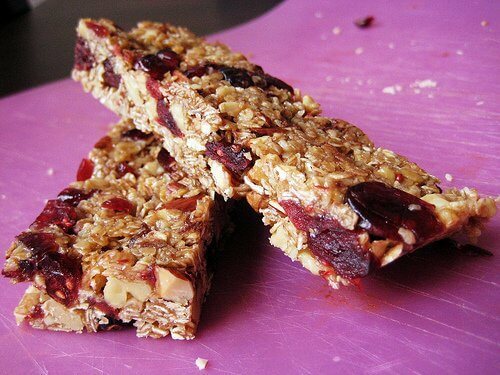 But I’ve not pushed myself to make homemade granola bars or other portable snacks. THis book could help. Thanks for the giveaway. I’m a subscriber via RSS. I have a toddler & a newborn and I’ve been more tempted to turn to convenience foods since the baby arrived. I don’t want to do that and I’d love some fresh inspiration! Thanks! I am now a subscriber – thanks! I struggle with finding something other than plastic baggies and boxes to put their lunches into. I just signed up for Kitchen Stewardship yesterday. My biggest struggle with snacks is using fresh ingredients. The starchy, carb-filled snacks are always the easiest to grab, and I feel guilty giving them to my kids over and over again. Thanks for the opportunity to win! I just subscribed to Keeper of the Home via email. Yahoo! I just subscribed to Kitchen Stewardship via email. Thanks for these great resources! The thing I find hardest about being a healthy snacker is finding time to make the healthy snacks. I love Katie’s pumpkin muffins and am anxious to try her granola bars and crackers. I’d also love to see what other recipes she has in her new e-book! My biggest struggle right now is being pregnant! I get hungry often!….and don’t feel like cooking…so it’s easy to eat junk…except that I try not to keep it around. My options seem so limited. One can only eat so much crackers and peanut butter! I’m subscribed to Keeper of the Home! I’m subscribed to Kitchen Stewardship! I like Kitchen Stewardship on Facebook. I like Keeper of the Home on Facebook. I subscribe to your blog by email. I tried to follow you on Facebook, but I am not sure what to click on when on your page. Can anyone help me? We just started GAPS a little over a month ago, and I would LOVE to know how to make Larabars- we really need good on-the-go snack options, especially as we share one car and it seems that I’m always looking to pack something for someone! We have a family business so we get to spend lots of time together but it’s challenging to find time to make healthy snacks on a moment’s notice! My biggest snack issue is finding time to prepare the snacks. Oh! And proper storage. finding healthy convenient snacks, my kids will like is my biggest challenge! I am new to most of this and am trying to take baby steps, but I am being met with resistance from most of my family! They are used to eating processed foods, so are very skeptical of eating healthy for every meal/snack. Trying to find things they like is very difficult, but it’s going to be my summer project, and now that I know more, I can’t go back with a good conscience. I just subscribed to Keeper of the Home, and found you through Kitchen Stewardship (which I recently subscribed to). This book would be a great next step for my family on our healthy eating journey. On the go snacks are something we really struggle with. My biggest challenge is just NOT having the healthy snacks ON HAND when I need them. I guess that means I need to plan them better. Thank you for the entry. I just subscribed to Kitchen Stewardship. Nice blog! Thank you for introducing me to it and for the entry in the giveaway. I subscribe to Keeper of the Home. Thank you! I would love this ebook as I am always trying to think of ways to make healthy (fast) snacks for my boys. I subscribe to kitchen stewardship and just finding time with three little one underfoot is the trouble I have with fast snacks to go! I am now following Kitchen Stewardship on fb. I follow your posts on google reader. I am 30 weeks pregnant and have an almost 3 year old. I am tired and sore from the combonation. I need some simple snack ideas because one or both of us is usually hungry! I am tired of paying premium prices for products that are quick and healthy. My family loves lara bars but they are SO expensive! I’d love to learn how to make them. This is a great site and I’m going to subscribe and follow you on facebook. Finding time is hard, but good ideas–snacks that are not too sweet–are hard for me too. My problem with snacks is that when I look at the cupboards…everything needs to be cooked. And I only have ideas for sweet snacks. I follow KS on facebook. I think that my biggest snack struggle is planning for them, especially while on the go! I would love this book to help add some variety into our snacking. Currentlty we just have mainly nuts, friuts, annd veggies. Nothing wrong with that, just want to add some healthy variety! Oh, I’ve been wanting to win this e-book! I’d love to be able to make more of my snacks and have them ready ahead of time. Thanks for doing this giveaway. My toughest part with healthy snacks to have variety and a ready-made supply at work. Especially now since I’m dealing with 1st trimester nausea, so I’m eating All. Day. Long. I’d love to find healthy recipes that use inexpensive ingredients! I am starting to cook nourishing meals for people outside our household and they are wanting snacks so this book would be perfect! .-= Michelle´s last blog ..Keeping track of expenses =-. I am now following Keeper of the Home on Facebook. I am also now following Keeper of the Home on Twitter! Became a Fan of Kitchen Stewardship. I’d love to win a copy of this e-book. I have five children, and we homeschool. Snacks are tricky, because after making all of our meals, I often feel like I’ve run out of ideas for making more food for snacks. I don’t buy many convenience products, so we’d love some new, creative snack ideas –using healthy, affordable ingredients! Oh, I would definitely love this book! For me the hardest thing is coming up with healthy snacks that are readily available so I can grab them on the go. Plus, I tend to get in a rut with choices. Sure, grabbing an apple is easy but I get tired of eating apples every day. Plus, they aren’t always available local. I would love to have more ideas of things I could make ahead of time. The bars sound delicious! .-= Christy Sheffield´s last blog ..Artist spotlight: Danita =-. I subscribe to your blog! It is definitely on my must-read list. I also subscribe to Kitchen Stewardship’s blog. Yay! Following Kitchen Stewardship on Facebook! I always have trouble finding healthy things I can throw in my purse/diaper bag for when we’re out and about. And often resort to not so healthy processed options or drive throughs. I definitely would like to try the recipes in this book – my kids are picky to boot, which makes all this more challenging. I subscribe to keeper of the home in google reader. I follow Keeper of the Home on Facebook. I need all the help I can get with getting my family to eat healthy snacks. I am still learning how to make wholesome food and they don’t always get excited with my experiments:) This would be great help. I am a subscriber to Keeper of the Home. I struggle with serving healthy snacks because of 1.the vast age difference in my children ages 17, 4, and 2 years old. 2.Because of my boys having severe peanut and tree nut allergies. Thankfully my son has outgrown his egg allergy!!! Try finding a healthy snack that doesn’t have eggs and/or nuts! OOOO please pick me. I am struggling with eating junk and want healthier alternatives to the garbage I keep buying. I need this change for my health. It is seriously in crazyland at the moment. .-= Angel´s last blog ..4 am =-. I subscribe to The Keeper of the Home. 1. Healthy snacks are a huge struggle to me. I’m a single mom and I work full-time and by the time I get home I feel like I have no time to even look for healthy snack recipes. And even when I do the returns aren’t always truly healthy. So I just feel like I’m really unsure about direction in this area. We are pretty new to eating healthy and eating real food, so I’m still learning a lot on this stuff. .-= Hollie´s last blog ..No ‘Poo Photos =-. I need this book! My kids and hubby would love for me to fix more snack stuff! I follow Keeper at Home on facebook. My biggest challenge to healthy eating is my teenagers, who would much rather I buy sodas and chips! My biggest struggle with serving healthy snacks is finding time (and energy) to make them. I have a 2 yr old daughter who gave up naps 2 mos ago and am 6 mos pregnant! Good timing huh? Seems like when I make a healthy snack, it is gone in a hurry and then it’s back to our yuck store-bought crackers…. We could really use more variety. It seems like when I find something that works for us, I end up burning us out on it, so a fresh supply of ideas would be really welcome! I’m a subscriber to your blog and love it! I just subscribed to Kitchen Stewardship also. Looks like a great resource! My biggest challenge in having snacks available for the children is keeping ahead of them. With eight sons who want to eat nonstop, not to mention four daughters who would like a little too every now and then, food prep is a continuous task if I want to keep it healthy. I subscribe to Keeper of the Home via email. I am a follower of Kepper of the Home on fb. I subscribe to Kitchen Stewardship via email. I have now subscribed to receive your emails, as well as following on Facebook. You books look like just the thing to help transition my two teens to healthier food choices. We have made a lot of changes over the past few months, all in our quest for a healthier diet and planet, and way of living, but some days my boys are close to mutiny! I talk to them a lot about our food choices, but some days it falls on deaf teen-aged ears! I am loving this new community of like minded people, at last I feel like I am not alone on this path! I need to have snacks available to tote in the car. With one son in high school and one son in junior high, we are constantly on the go between homeschooling activities. My older son is doing much of his work at outside classes and the junior college and my younger son is usually seen doing his schoolwork in the car. We often don’t have time to come home for meals between things. My husband works at a large tech firm with snacks and soda at hand all the time, so I need to make sure I am sending healthy real food with him to work. He frequently gets stuck in meetings and such and fast easy snacks are the only thing that keeps his metabolism going! But I need snacks that are not high in sugar, and I can only send so many celery sticks! .-= Rebecca´s last blog ..Real Food =-. My biggest struggle is the time to make it. We are a gluten free family now and so even lots of healthier options available when we are traveling are now not okay for us. Good recipes that are already figured out would be SO helpful! I just subscribed to Keeper of the Home! Subscribed via email to kitchen stewardship! The biggest struggle for me with serving healthy snacks is the thinking ahead time required – I am more of a fly-by-the-seat-of-my-pants kinda girl. So I need all the help I can get in the planning ahead so that there are great choices for my girls. Thank you for what you do to help those of us who are always searching for better ways. Looking forward to reading through this book. My kids are pretty good about snacking on fruit at home, but I struggle with having healthy snack on hand for grab-and-go – I’d love to have more ideas than just string cheese and Cheerios. I am extremely interested in exploring your site. As a local food activist and real food advocate myself, I am always looking for great, affordable, and simple ideas for preparing food. I am especially interested in portable food, since there is really NO PLACE in a hundred miles from my home, where I can buy fresh organic food. I have made so many concessions over the past year, it has really had a significant impact on my health. .-= Kerri´s last blog ..Busy, busy week/weekend… =-. I clicked on the link to follow kitchen stewardship on facebook, and it took me to her page, but I didn’t see a follow button, so I’m not sure if clicking on the link above automatically signs me up or not? As a mom of 6, I’m always running an errand here and there. I’d love a book of ideas for healthy snacks to make ahead so whenever I head out the door, I can pack the snack for the car. Something to feed them when they tell me they’re “starving”. Thanks! My biggest challenge for having healthy go to snacks is…TIME! I run out of it…:) I need some help! God BLess.. I would love this book. I have two struggles in this department. One is making all this good healthy food on a tight budget. Another is finding snacks that please my hubby’s palate. Shalom, This sounds like a really good book for my young daughter in training. Although we follow a very healthy lifestyle, my almost 14 year old daughter who loves to bake always seems to favour sweet desserts and snacks which are not always healthy. I do give in once in a while. we are working on making better choices. This would definitely be a good fit for her. I’ve subscribed to keeper of the Home. .-= carmen vidal´s last blog ..Environmental Working Group (EWG) =-. My 5yo is in process of diagnosis of hypoglycemia. I would love to learn to serve her healthy snacks….granola bars and chips probably aren’t going to work anymore. It wouldn’t hurt the other 3 kids to learn to eat healthier, either.